The Lisbon gas processing plant located 40 miles North of Moab, Utah is comprised of a 60 mmcfd treating plant with a 40 mmcfd cryogenic plant. Additionally, the plant has a 4,500 BPD fractionation train. 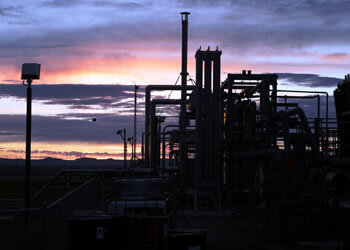 The Paradox and 4 Corners pipeline system that feeds the Lisbon Plant traverses Colorado and Utah and consists of four compression stations and 270 miles of gas gathering lines.